Vilnius, the capital city of Lithuania, is what every traveler’s dreams are made of. Nestled in the confluence of rivers Vilnia and Neris, the charming metro promises an unforgettable experience to anyone lucky enough to discover this hidden gem. There are many things to see in Vilnius. with 360 degrees of picturesque views, dotted with cultural charm and architectural marvels, it can be confusing to narrow down what to do in Vilnius - especially if you’re only staying for a short while. But don’t worry, we've listed down the must-dos, must-visits and must-eats to help you make the most out of your Vilnius adventure. 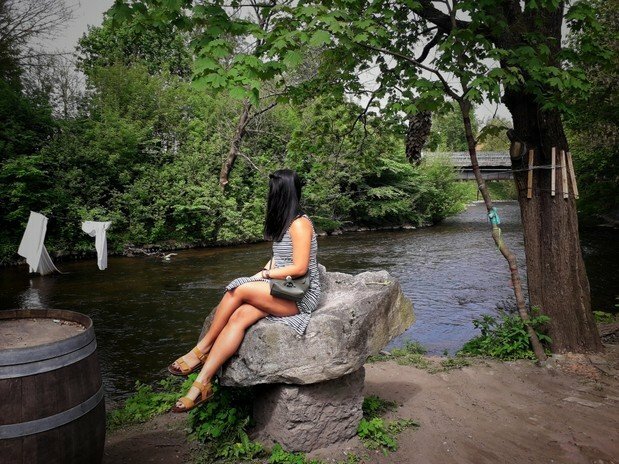 Here are a few things to remember and prepare before you head to Vilnius to make sure you will have the best time during your visit and make little mistake as possible. Lithuania practices the Schengen visa policy, which means, you can stay here for 90 days within the 180-day calendar. 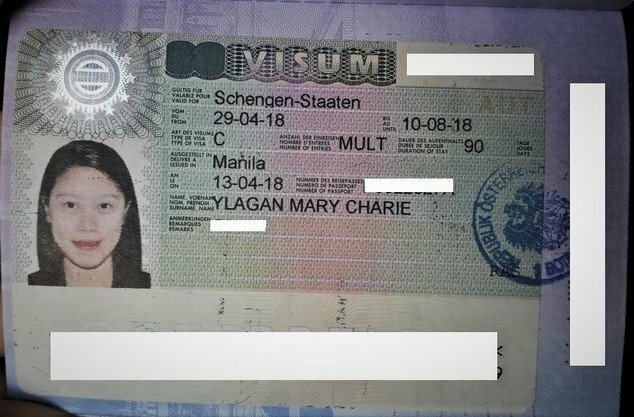 If you have spent 30 days in other parts of Schengen, for example, Germany, then you can only stay for 60 days in Lithuania. The 90-day rule is the total number of days you can stay in the entire Schengen area. Lithuania has their own language which is Lithuanian, however, due to the fact that it was once conquered by the Soviet Union, many older people speak Russian. While the young people speak English very well, therefore, you should not have a problem going around and asking locals for directions or anything. If you speak Russian, you should be able to get around as well. 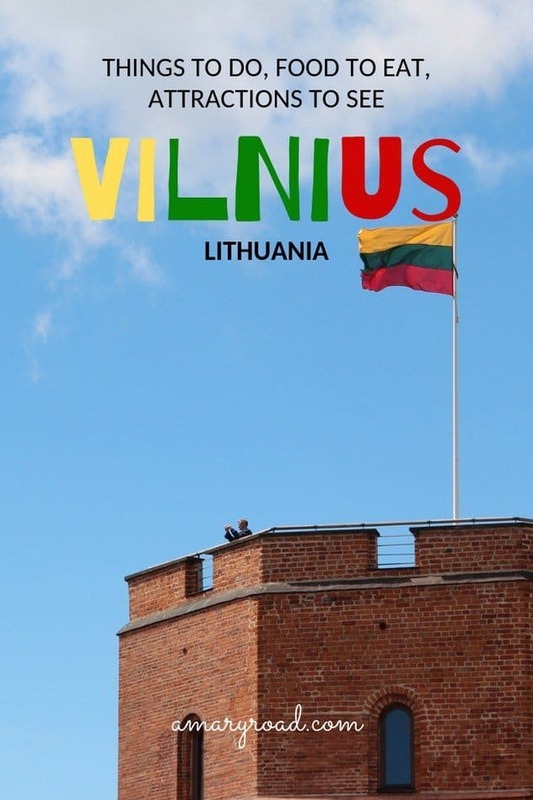 Going around in Vilnius and the entire country is very easy in Lithuania and very affordable too. There are city buses for €.60 - €1, while out of the city buses will be between €3 and up. You can also take the train or bus for as low as €4 to another city or nearby countries. If you will be here for a while, you can register online and pay €4 to use the city bike for free for 30-minutes unlimited times a day for 30 days. There are many bike paths which makes it easy and safe. The local buses and trains are integrated with Google Maps and are always right in time. Uber and Taxify works in Lithuania very well too and is quite affordable. To save some money from using a data roam, you can purchase a local sim card with mobile data in it for as cheap as €6 valid for 30 days, it should also have free SMS and some minutes for local calls. These sim cards can be found in grocery stores by the check out station, you don't need to show an ID or passport. Simply grab one and pay it on your way out. Vilnius is a very green city, there are trees, open grounds, and park all over the city for everyone to enjoy. The busiest time of the year is summer, most of the hotels and hostels are fully booked, therefore, you should book in advance if you are planning to go here during summer. If you can stand the cold, winter can be pretty nice in Vilnius as well, there are some Christmas markets and the prices of accommodation is a little cheaper due to low season. Vilnius has many options for tourist to choose from when it comes to accommodation. There are AirBnBs for those who prefer an apartment style, a classic hotel room is right at the Old Town, and for those who want to stay on the budget side, there are affordable hostels in Vilnius too that are well-located. I highly suggest you stay in the Old Town area to make things easier, although, walking around and taking taxis, uber, or the buses is easy. 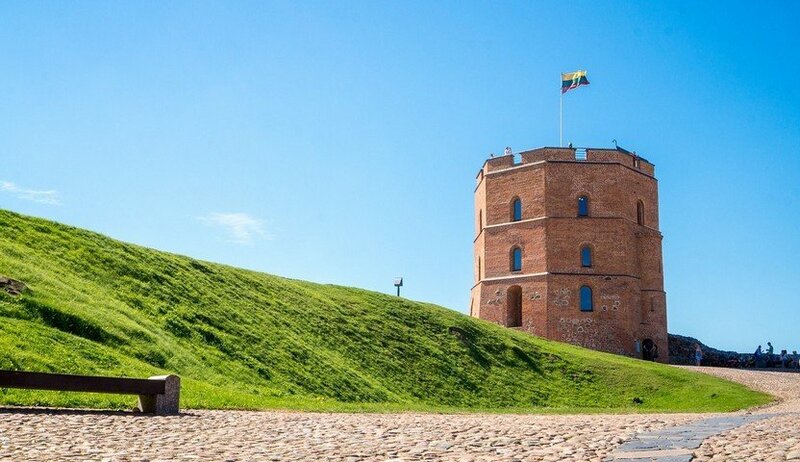 Here are the things to do in Vilnius, attractions that you must not miss, food to taste in restaurants that are top-notch in prices and taste, and of course, never leave without checking out Vilnius' nightlife. For the wanderlust who loves to immerse in the Vilnian art culture, exploring the Bohemian and art district of Uzupis is a good starting point. The once dangerous neighborhood and red light district has transformed into a thriving home for the city’s creative community. cafes and restaurants with artisanal selections of burgers, pastries, and craft beer. They regularly host exhibitions, workshops, poetry evenings, and music and fashion festivals so be sure to ask around if they have one or two scheduled while you’re there. Fun fact: The Uzupis neighborhood is actually the Republic of Uzupis. It is one of the must-sees in Vilnius for tourist, many would on go on a tour with a local to get to know the area better. It declared itself an independent republic on April 01, 1997. Uzipis has its own president, army, flag, and anthem. How to get there: Uzupis is located across the Vilnia River. From the Old Town, the easiest way is to use the main bridge, Uzupio Undinele, which leads directly to the republic’s main entrance. No Vilnius adventure is complete without a leisurely stroll around the Old Town. Recognized as a UNESCO World Heritage Site, Old Town Vilnius is a time capsule of medieval beauty. It promises an eyegasmic feast of architectural harmony inspired by gothic, renaissance, neoclassical, and of generally baroque style buildings. 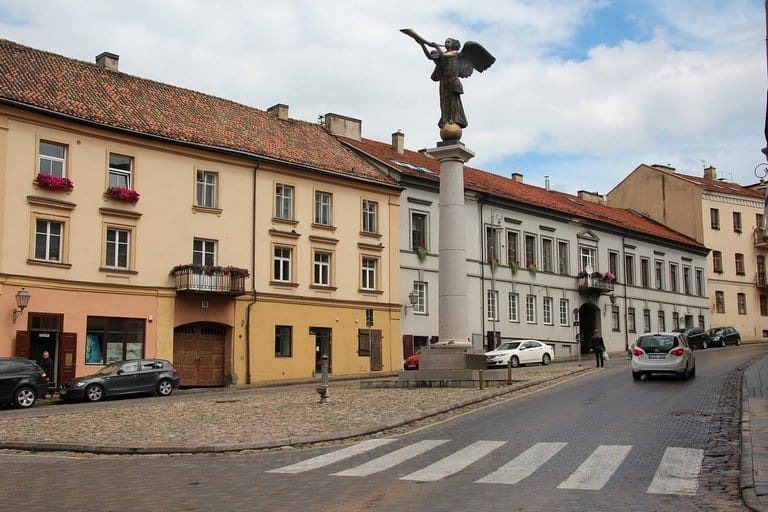 There are super affordable day tours to see the Old Town like this one, it comes with transportation and audio guide, it cover the must-sees in Vilnius. Much better than walking around and getting lost in the city. Old Town is a melting pot of the city’s historical, religious, and cultural influences best represented by well-preserved palaces, monuments, and historic landmarks. Notable places of interest include the Gates of Dawn, Presidential Palace, and the Vilnius University Architectural Ensemble Museum. Fun Fact: Old Town Vilnius is Northern Europe’s largest surviving medieval old town encompassing 1,487 buildings, 70 streets, and 74 quarters. Follow the street sign: Old Town lies at the heart of the city. Many hotels are located within or just outside its sprawling area, which means you’re already there or a mere stone's throw away. But if you’re looking for good places to start exploring, Pilies Street, Vokieciu Street, and Zydu Street come highly recommended. Getting a deeper understanding of Lithuanian history begs for a visit to the Museum of Occupations and Freedom Rights, formerly the Museum of Genocide Victims. Established on October 4, 1992, the museum provides an unsettling yet eye-opening insight into the dark past that gripped the country in the hands of the KGB. The former KGB prison is now a historic building that houses expositions devoted to commemorating the past, and reminding present and future generations of the imprisonment, torture, deportations of, and anti-Soviet resistance by Lithuanian residents during the 50 years of Soviet occupation. By bus: Take bus no. 43, 46, 52, 56, 60, or 88, by trolleybus: Take no. 9 and 19. Your exit is at the Nacionalinė dailės galerija' stop. You can also walk along Gediminas Avenue to get there, or from the Cathedral Square. Vilnius is as stunning below as it is from above. And for the shutterbugs who want to capture the city from a few meters up, these scenic overlooks make for the best viewing and snapping spots. 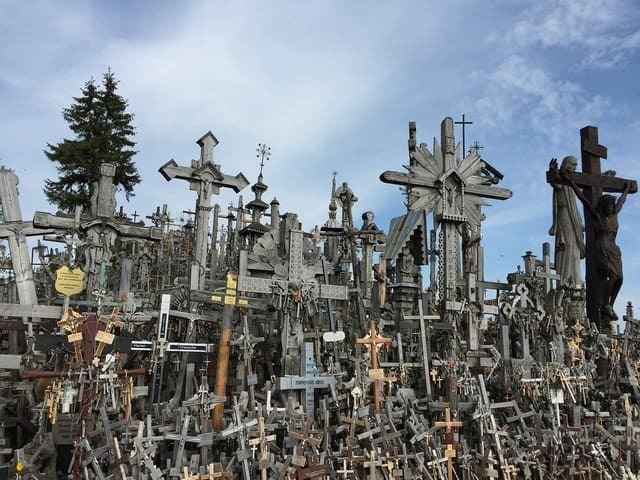 ​The Hill of Three Crosses, Cathedral Square Bell Tower, and Gediminas Castle are your top three destinations for an obstructed view of the city. From these vantage points, you can get postcard-perfect shots of the Old Town, a bird's-eye view of the cobblestone streets, roof tiles, and the rivers and forest that blend seamlessly into Vilnius’ picturesque cityscape. 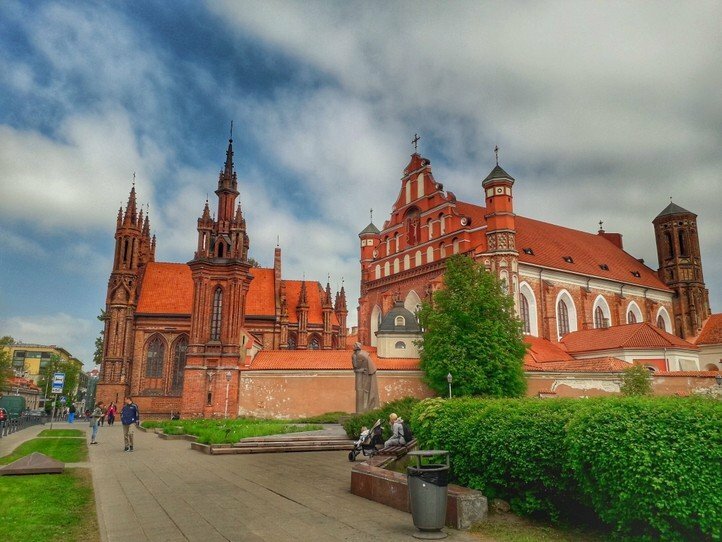 It helps that these three places are also must-visits and should be in your Vilnius trip bucket list - that’s hitting two birds with one stone right there. But wait, there’s more, if you have time to kill and want to see more panoramic views of Lithuania outside Vilnius, then head over to Treetop Walking Path in Anyksciai. It’s a popular day trip destination (1.5 hours by car) for locals and tourists who want to experience the Lithuanian forest and get gorgeous tree-level views via a tree-canopy trail walkway. Trakai Castle is actually outside Vilnius, about 50-minute drive, you will get to see the famous island castle. This castle is surrounded by a lake which freezes during winter. The castle was built in 14th century and was redecorated, however, became a jail in 1500. The castle was damaged and was completely ruined, it was reconstructed in the 19th century but was fully done in 1961 which is now a major tourist attraction. This is one of the day trips from Vilnius that you can do during your stay. During summer, many locals and foreign tourist will hang around the area (not inside the castle's parameter) until late afternoon to watch the beautiful sunset. 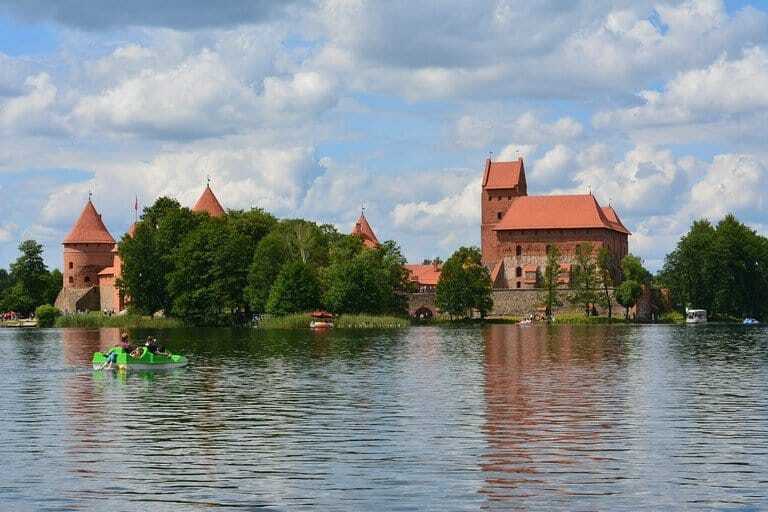 You can also go on a tour for Trakai Castle to make sure you get to explore this beautiful place as much as possible. By bus: Head to the main bus station (Vilnius Station) in Gelezinkelio street or Sodu Street and take the bus at platform 6, 7, 8, 28, 29. There are buses that run every 10-20 minutes. The fare is about €2 for one-way. Once you get in Trakai town, you will need to walk for about 1.8 kilometres. There should be enough sign for you to follow or simply ask any locals or follow the tourists. Experience the city through taste! Mary is not much of a fan of Lithuanian food although she admits they have the best Kebab and the cheapest (for its serving size) one. Food in Vilnius is pretty interesting, Lithuanian loves their meat but at the same times, vegans and vegetarians should not have a hard time finding great dishes for their preferences. You should also visit their grocery stores, where you can buy ready to eat food and snacks. Snekutis is probably my favourite local restaurant in Vilnius. They serve local dishes at such reasonable prices. Funny enough, I've tried to go here four times, the first two attempt was unsuccessful because they ran out of food at 8 pm only - yes, it's that popular. This is the place I highly recommend you try Zeppelin and Beet Root Soup. So, if you are going for dinner, try to head here as early as 5.30-6.00 pm. They have three locations, one in Vilnius Old Town, one close to the main bus/train station, and one in Uzupis. For those who take eating with your eyes seriously, Sweet Root is the place for you. Open only for dinner, Sweet Root offers a three-hour, seven-course dining experience that pleases both taste and sight with immaculately plated dishes. The restaurant, one of the highest rated in the city, is best known for its creative use of native and seasonal ingredients. A gastronomic adventure of plateful proportions, Medininkai Restaurant is the perfect place to fill up after a whole day of exploring. 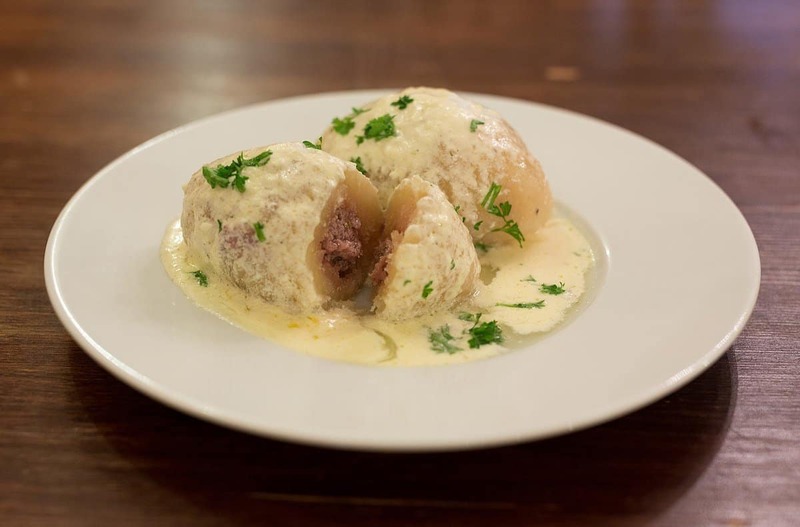 Medininkai serves traditional Lithuanian cuisine and is famous for their massive meat plates, mushroom soup, superb cheese platters, and other European specialities. Perfect for vegan travelers, GYVAS baras, Lithuania’s first vegan restuarant offers an extensive menu of plant-based, meat-free, and even gluten-free dishes, with a choice selection of beer and cider to boot! Their burgers of constantly changing flavors are a hit for both tourists and locals. If you want a taste of nightlife in Vilnius, I have a few suggestions for you to try. From regular sports bar where you can relax and watch some sports or meet locals to all-night party clubs for dancing and go crazy. Head to the bar street which is just down at Vilniaus Street if you feel like browsing the area by bar. There are plenty of best bars in Vilnus depending on your liking, but here are some that we recommend you check out. 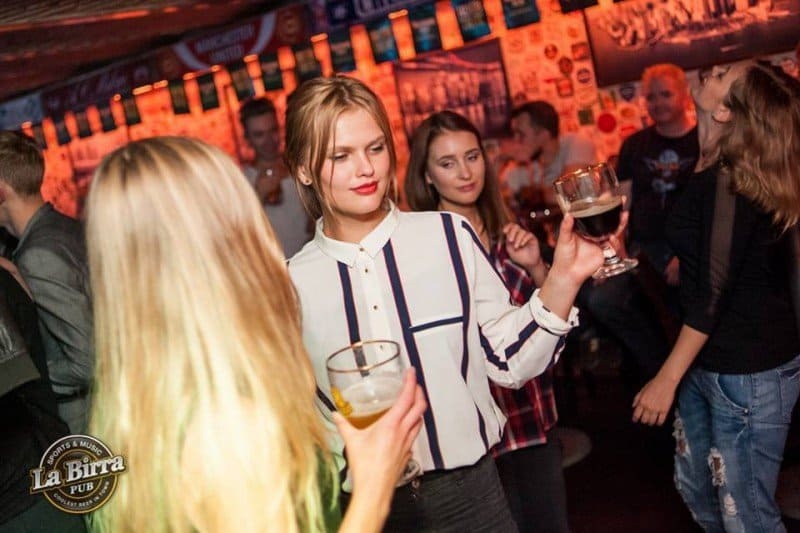 For those who prefer a quiet evening but still have fun and learn about Vilnius nightlife and try out some local beers and ciders, BIX baras is the place for you. A lot of local people hang out here and play pool/billiard or do Karaoke in the weekdays. If you miss some classic bar food that serves local beers and ciders while watching sports, you probably should try Hooters. They are quiet affordable compared to Hooters in Colombia although the service time can be slower. La Birra is actually a pretty cool place, they are regular sports bar during the day which turns into a crazy nightclub once midnight hit the clock, simply head down to the basement where the action on the dance floor happens. They also serve bar food but the kitchen opens at 7PM. This pub is a cute little sports bar that serves affordable drinks. They also have plenty of screens that show different sports. However, they only play the audio for big games/championships and normally play punk rock, rock, and heavy metal music. I really hope that you found this what to do in Vilnius article useful for you visit in this magnificent city. If you have any questions or concern, let us know in the comment section below.